Thinking about LASIK eye surgery, or Laser Assisted In-Situ Keratomileusis? Here are some important first facts. LASIK is a surgical procedure for individuals who desire to see clearer without relying on contact lenses or eyeglasses. 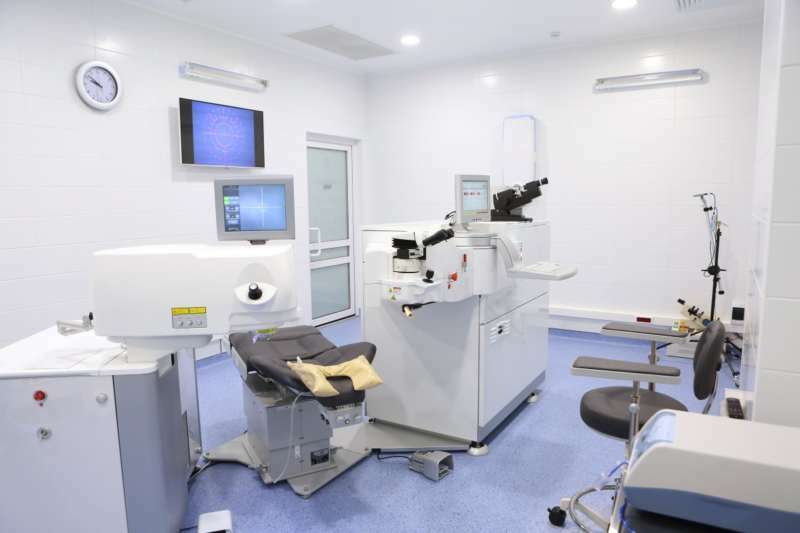 The entire process involves reshaping the cornea using laser correction surgery. The procedure alters the shape of the cornea by lifting the exterior of the eye, which creates a thin pivoted flap granting the surgeon access to the stroma. The computer controlled laser evaporates a piece of the stroma and then the flap is restored. BENEFITS | There are many benefits to receiving LASIK eye surgery. One obvious benefit is that the surgery corrects a person’s vision immediately following the procedure, and patients see results right after the surgery. Many patients don’t have to wear eyeglasses or contact lens any longer; unless they need eventual reading glasses due to aging. 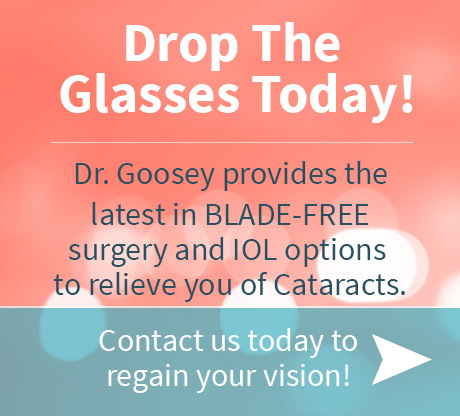 A big benefit is the savings; once the surgery is paid for, there are no additional expenses for corrective lenses, solutions, or eyeglass repairs. Also, improvements can be initiated years later following the procedure if a person’s vision changes over time. RISKS | There are a few rare or low risks that are possible following the LASIK procedure. Reported side effects include; clouded vision because of inflammation during the recovery process, glare or heightened sensitivity to bright light, watery and irritated eyes (due to healing process), over or under-correction, blurred vision, night vision complications or halos, and astigmatism from wrinkling in the corneal flap. More serious, but very rare risks are infections in the cornea or keratitis, and elevated pressure inside the eye. Most complications are associated with how well patients follow after-care recommendations, and the experience of the eye surgeon. HISTORY | The surgical procedure is much more mainstream today than compared to 20 years back. LASIK was primitively established by Jose Ignacio Barraquer in 1963, a known surgeon coined “the father of modern refractive surgery”. He developed the first microkeratome in the early 1950s in Bogota, Columbia. The instrument has an oscillating blade created specifically for reshaping the corneal flap during LASIK surgery. Barraquer’s father was also an eye-care specialist or ophthalmologist in the early 1900s. PROCEDURE | An often-asked question about LASIK eye surgery is, ‘How painful, if at all, is the procedure?’ The good news is that patients report that the procedure is virtually painless because numbing eyedrops are applied to the eyes before the laser procedure. After surgery, there is discomfort to be expected or pressure on the eyes as they begin the natural healing process immediately, and recovery is a minimum of one to three days. 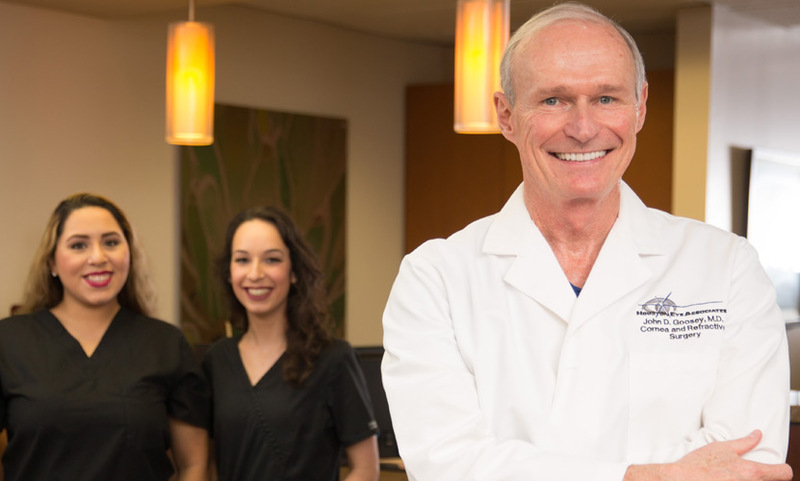 Now that you know the facts, it’s time to take the first step to clearer vision… contact Dr. John Goosey, Houston’s premier LASIK, refractive eye surgeon and cornea specialist. 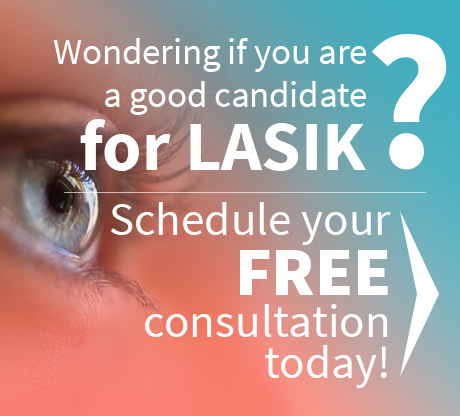 Just click FREE LASIK consultation now to schedule online!